Whether your magazine is embryonic or well-established, its success relies on appealing to a defined readership. Knowing whose hands your title is going to end up in should inform everything from the design and format right through to the content. Whatever stage in the process you’re at, it’s always worth evaluating and re-evaluating your readership to ensure that you’re meeting their needs. We live in an increasingly-visual age where first impressions count – so making your magazine stand out from the crowd is vital. Your cover sells your brand and your content, so treat it with respect. Spend time thinking about what feature you want to promote with the main image and allocate sufficient resources to obtaining bespoke photography (or, if budgets are tight, sourcing top-quality, professionally-captured existing shots). Failure to plan ahead will leave you scrabbling around trying to pick the least-worst option and means you may make the difference between someone picking up your magazine or leaving it on the shelf. The TylerBale team has decades of experience in journalism spanning newspapers, magazines and online. But while the platform may have varied during our careers, one thing that hasn’t changed is the fact that any story works best when people sit at its heart. Sometimes this is easy – an interview with a celebrity is clearly going to be person-focused – but even when a topic appears to be desert-dry, there’s always a way to add colour through a human angle. People enjoy reading about people, so find the personality behind whatever you’re writing about and use that to liven up your copy. 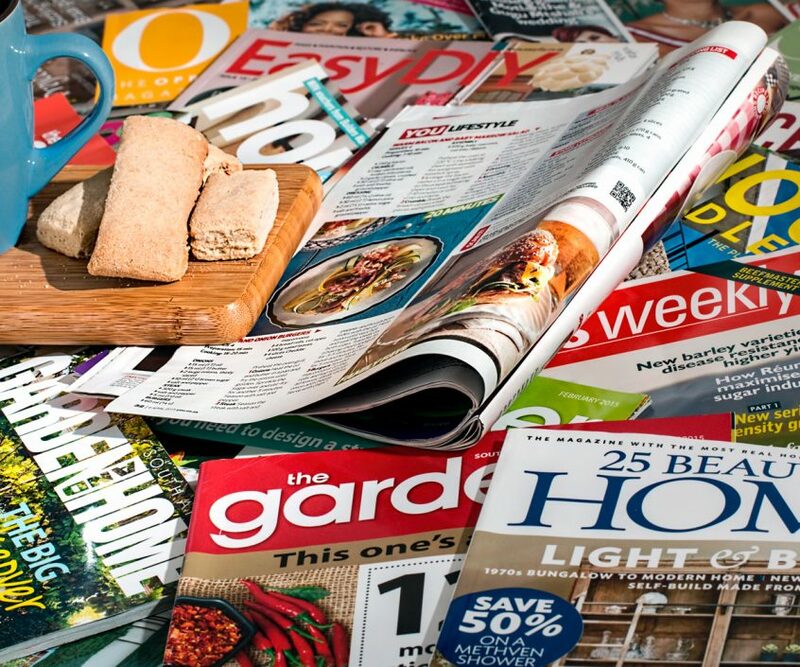 Successful magazines speak to their readers in a consistent style which, over time, builds familiarity, comfort and loyalty. The exact tone varies from title-to-title, but your audience needs to feel – consciously or subconsciously – that every piece of content ultimately comes from the same voice. This also extends to the style of presentation. Try to construct a narrative flow to your articles and if you’ve got dense information such as facts and figures to pass on, do so outside of the main body of the feature so you don’t break readers’ attention. Knowing how you’re going to fill current and future issues is undoubtedly a positive thing, but don’t be inflexible if better opportunities present themselves. A good editor will always be prepared to spike (or at least hold over) completed copy if the news agenda changes or a more interesting or relevant story comes up. Finding the balance between having a plan and being willing and able to amend it is the key to creating an engaging, successful magazine. Want to know more about TylerBale’s print and digital publishing services? Check out our portfolio, email info@tylerbale.co.uk or call 01252 714870.